Since 2013 is fast approaching, I thought I’d compile a list of my hotly anticipated books slated to be released in 2013. 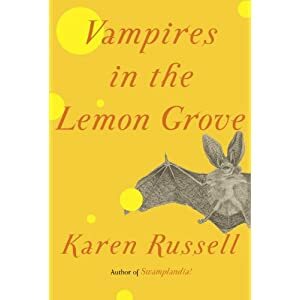 1) Vampires in the Lemon Grove by Karen Russell. I love her. Words cannot express how much I love her. Meeting Karen Russell tangled up my guts into knots. And she was absolutely the nicest and sweetest woman ever. It was just an event – a reading and a signing – and I hope to one day meet her as a peer … but, still, monumental experience for me. Both St. Lucy’s Home for Girls Raised by Wolves and Swamplandia! remain as some of the best literature I’ve ever read. I will probably do a jig when my copy of Vampires arrives in the mail. 2) The Isle of Youth and Find Me by Laura van den Berg. I think that Laura van den Berg will be one of the greatest writers of our age. I think she’s helping to herald a definition of “American 21st Century Literature” that isn’t a “post-“, that doesn’t define itself by looking backward on what has come before. When I met with Karen Russell, we talked about Laura briefly. Karen’s face lit up – “Oh! She’s wonderful.” – and we spoke about how hauntingly beautiful her titles are. Laura van den Berg gets extra points for writing stories about cryptozoology (mokele mbembe! No one knows what that is! ), which I will admit is a weird passion of mine. What the World Will Look Like When All the Water Leaves Us is one of the finest collections of stories the world has ever seen and I adore Laura’s ability to take a fabulist element and then ground it into a realist story and making it relevant to the characters in wholly unique ways. There’s a meta-metaphor way to analysis that I won’t get into, because it’d be an essay. But suffice to say, she’s one of my heroes. I was star-struck meeting her, fumbling for words, creating awkwardness all-around. That does not happen easily for me. 3) Snow Hunters by Paul Yoon. I only recently discovered this was coming out. At the reading I saw Laura van den Berg at, there was this Asian guy next to her that she seemed pretty friendly with. I thought, “Huh. That looks like Paul Yoon.” Turns out, it was Paul Yoon. Here is a man of beautiful, sensitive prose. His writing does something that I’ve never been brave enough to really attempt: it discusses the Asian-American experience. It reaches back to his heritage, allows him to connect to this indivisible part of his identity. I have spent nearly my entire life to remove that aspect of my identity, to be defined by it as little as possible. The connotations of being “Asian” were always negative in my head – criminal; drug addict; gang member; gambler; murderer; crime lord; cheater; liar – and while this is very far from what I think most non-Asian (and, in my experience, most non-Vietnamese) populations would think of when they conceptualize an Asian, it is what I learned about being Asian growing up. Literature is about a cultural dialogue – a transmission of thought and feeling – between author and audience. A writer has something to say that no one else can say. Paul Yoon says what he has to say like no one else can, and Once the Shore is magnificently done. I admire his ability to speak, without shame or hesitation, on the Asian experience. While I have something to say on that too, I have often disguised it more generally, still afraid to be defined by it and only it. What Paul Yoon understands is that he can be an Asian-American writer and an American writer and just a writer all at once. I’m tremendously eager to hear what he has to say next. 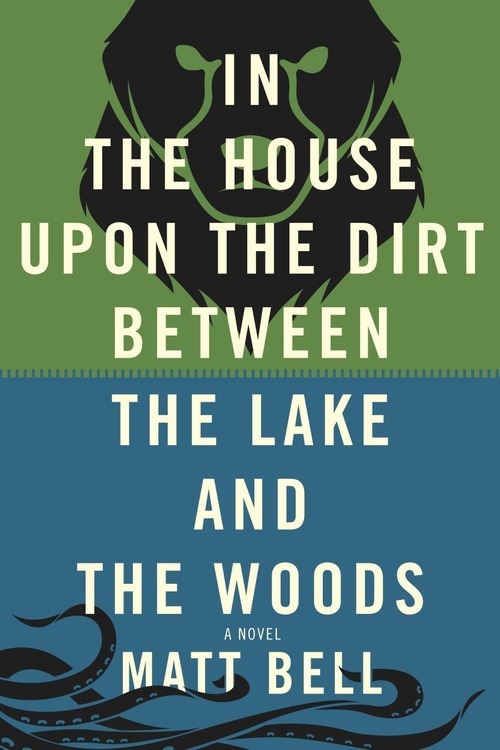 4) In the House upon the Dirt between the Lake and the Woods by Matt Bell. Holy crap, I cannot believe how long we have to wait for this. There is so so so much that can be said about Matt Bell. I had the pleasure of hearing him read a couple of weeks ago from this wonderful work and there can be no doubt that Matt Bell is an absolute master of his craft. Every sentence was constructed with precision, delivered masterfully. And, to add to everything, he introduced the novel hilariously. Plus, he can use the word “fingerling” in a way that makes it creepy and terrifying rather than make us think of the phrase “finger-lickin’ good” and laughing hysterically at it. That’s talent. This man is raw talent. Check out Cataclysm Baby and How They Were Found for a peek at his genius. 5) The Ocean at the End of the Lane by Neil Gaiman. People who meet me learn one thing really quickly: I am a huge nerd. This often surprises people, considering my physique and the fact that I’m rather athletic. I’ve done parkour for nearly nine years now and I’ve been powerlifting for three. Here’s the big secret: people who do parkour are all huge nerds. Most powerlifters too. In both communities, we’re all trying our best to become the fantastic superheroes we grew up idolizing. So many of us are gamers, comic book readers, table-top gamers, etc. And among the geek community, few gods are so universally revered as Neil Gaiman. He brought us Sandman and the Endless; he brought us Stardust, Coraline, The Graveyard Book; he brought us Whatever Happened to the Caped Crusader? Gaiman is also one of the very few science fiction writers who seems to be widely accepted in the literary community. And me? I’ll pretty much read anything Gaiman puts out. I know there are a lot of Gaiman fans out there who prefer him as a novelist, but it was as a comic book writer that I first learned of Gaiman. It was Sandman that won my heart (actually, it was Death and not Dream who did that), and he will always always be a comic writer to me. So while I’m ecstatic for him to have another novel coming out, I’m also ECSTATIC to hear that 2013 will finally see the release of new Sandman titles – in particular, a prequel mini-series. To geekdom! This entry was posted in Reading and tagged asian-american writer, cataclysm baby, comic books, coraline, dream of the endless, fabulism, find me, how they were found, in the house upon the dirt between the lake and the woods, karen russell, laura van den berg, literary journal, literature, matt bell, neil gaiman, once the shore, paul yoon, reading, reading series, sandman, snow hunters, st. lucy's home for girls raised by wolves, stardust, swamplandia, the graveyard book, the isle of youth, the ocean at the end of the lane, vampires in the lemon grove, what the world will look like when all the water leaves us on December 2, 2012 by antranwritesstuff.